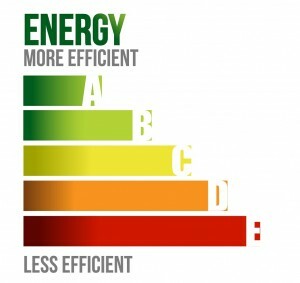 A Professional Energy Assessment or Energy Audit is the best way to determine where your Home / Office / Industry is losing energy and how you can save it.We believe that before we suggest any solution to our clients it is essential that we fully understand the requirements. 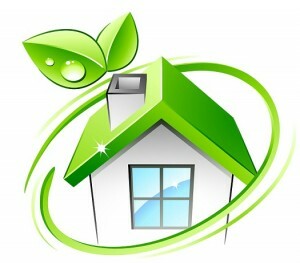 An energy audit is carried out by our trained professionals to evaluate the current energy use . They will make an assessment of Energy savings details based on site details, offer detailed cost saving recommendations to help rectify the problems and provide returns projections on investment scenarios. If you are interested in getting specific recommendations for improving the efficiency of your home or office , consider contacting a professional Home Energy Auditor like CTI integrator (pvt) Ltd because only a professional auditor can use a variety of techniques and equipment to determine the energy efficiency. Avoid using the oven on hot days. Instead, cook on the stove, use a microwave oven, or grill outside. Clear the area around where your air conditioner vents to the outside to ensure the best possible ventilation. Save on cooling costs by setting your thermostat to 75-78°F when you’re at home, health permitting. Set it to 85°F when you’re away for more than a few hours. Make sure your air conditioner’s fresh air vent is closed so you’re not spending extra money cooling outside air. Turn bathroom and kitchen ventilation fans off about 10 minutes after their job is done to keep them from pushing cooled air out of your house. Hang laundry outside. Take advantage of late sunsets and warm evenings to bypass your dryer and let your clothes air dry. Turn off lights. In addition to switching off lights when you’re not using rooms, consider a summer tradition of candlelit dinners or dimly lit game nights. During the day, rely on natural light alone. Open your windows and let cooler air flow into your home in the morning and at night. Cover your windows during the day to block the hot sun. Use room fans to keep you cool, turning them off before you leave. Check the filter on your air conditioning system and clean or replace it if it’s dirty. A dirty filter will slow air flow and cause your system to use more energy. Caulk gaps and cracks around drafty door frames and windows to prevent warm air from entering your home on hot summer days. Caulk is inexpensive and can be bought at most hardware stores where you can also learn you how to apply it. Get your air conditioner inspected to make sure your system is leak-free and operating efficiently. Install a door sweep on your garage door to seal the gap between the bottom of your door and the threshold. This prevents warm air from coming in and cool air from escaping from your home. Place your room air conditioner in a cooler area (shaded or north-facing) and away from heat-producing items like TVs and lamps. Direct sunlight and heat will make your air conditioner work harder. Be sure your air conditioner is the right size for the room. If it’s too small, it won’t do the job. If it’s too big, it will reduce efficiency and increase electric bills. When using the fireplace turn down your heater. When you’re not using it, close the damper to prevent cold air from coming in. Close curtains, shades, and blinds at night and during unoccupied periods of the day to help prevent warm air from escaping. When you leave the house, set the thermostat to 56°F. By turning your thermostat back 10-15 degrees for 8 hours, you can save 5-15 percent a year on your heating bill. Caulk gaps and cracks around drafty door frames and windows to prevent cold air from entering your home. Caulk is inexpensive and can be bought at most hardware stores where you can also learn you how to apply it. Wrap older water heaters with an insulating jacket or blanket to minimize excess heat loss. And, don’t forget to leave the air intake vent uncovered. By air sealing and properly insulating the attics, walls, floors over crawl spaces, and accessible basement rim joists, a savings of up to 10 percent of total energy costs can be achieved. Replacing your old windows with high-efficiency windows can reduce your heating and cooling costs by up to 15 percent. Install a door sweep on your garage door to seal the gap between the bottom of your door and the threshold. This prevents cold air from coming in and warm air from escaping your home. Homes often leak warm air in the winter because of spaces between walls. Fill these gaps by spraying foam insulation into holes drilled in the wall. Take shorter showers to reduce water heating costs. Always use energy efficient lighting specially LED’s. Give your refrigerator breathing room. Clean the coils and don’t set the temperature too low. The refrigerator should be kept between 38-42°F and the freezer between 0-5°F. Regularly defrost a manual-defrost refrigerator or freezer whenever ice builds up more than one-quarter of an inch. Buildup decreases the energy efficiency of the unit. Wash full loads of laundry using cold water. Today’s modern detergents work great in cold water, and about 90 percent of the energy used by clothes washers goes to water heating. Make sure the lint trap in the clothes dryer is clean before you press start. Add a tennis ball or clean, dry towel to improve air circulation and reduce drying time. Run cold water for your garbage disposal. Hot water requires energy to warm. Cold water solidifies grease, moving it more easily through the disposal and pipes. Don’t let the hot water run. Turn it off when it’s not needed while brushing teeth, shaving or doing dishes. Use the self-cleaning oven feature only when necessary and start the self-cleaning cycle immediately after the oven is used to take advantage of pre-existing heat. Open the oven door infrequently. Every time you open it, the temperature drops about 25-30 degrees and more energy is used to generate the desired level of heat. Use glass baking dishes in the oven when possible. Glass retains heat better than other materials, so it helps food cook faster, and you usually can reduce your oven temperature by about 25 degrees. Operate your dishwasher with full loads and air-dry dishes on the energy saver setting. If the manufacturer’s instructions permit, open the door of the dishwasher at the end of the last rinse cycle, rather than using the drying cycle. Challenge everyone in the household to gather around one television a few days each week and turn off the extra units. Wrap your water heater with a water heater blanket to prevent it from losing heat. Select an energy-efficient model refrigerator, washer, air conditioner, or other appliance. When you are shopping for a printer, scanner, or other computer peripherals, spend a few extra dollars to buy one that will automatically go into sleep mode or turn off when it isn’t being used.